Hints and tips for baking soda uses to make effective natural cleaning agents, soaps and other hygienic products. Pollution is a threat to our health and to the balance of the entire planet. Still, few people are aware of what they can do for themself. Chemical pollution is now a major factor for various health scourges of humanity of which the most known are allergies, that are in sharp rise. Sodium bicarbonate and other natural cleaning agents allow us to replace all harmful chemicals and do all the hygienic means and cleaning very effortlessly and effective. Baking soda, one product with a 1001 uses: From food preparation all the way to personal hygiene, sodium bicarbonate is a product with a thousand and one application for a thousand and one opportunity. Sodium bicarbonate is environmentally friendly and harmless, and can be used in many ways in cooking, cleaning, personal hygiene, cares for pets, glitter home and for many other things. Baking soda has been known in antiquity for use in baking, for the natural purification, to neutralize the stomach acid and for other medical purposes. The ancient Egyptians have derived the baking soda from the soda lakes in the valley called Natron. Baking soda uses for cleaning, washing and removal of unpleasant smells. Rubbed the soap with the grater or equal in the food processor with suitable cover (grater for the carrots...). All the ingredients are mixed together and stored in an existing plastic detergent container or any other suitable container. We dose 1 full tablespoon of mixture in the washing machine. If desired, a the small amount of baking soda may be added in the softener dispenser to the water as it softens and acts as limescale remover! The washed laundry smells pleasantly like the fragrance with which the soap is scented. A fabric softener and descaler are redundant, because the backing soda does both jobs at once. If desired, add a few drops of tea tree oil to the mixture. 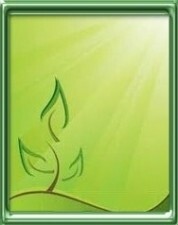 Caring for a clean environment and a healthy lifestyle is now more and more important value. There are studies showing that with the various soaps, shampoos and deodorants average people annually absorb about 2 kg of chemicals through the skin. There is no research that would show how much chemicals we absorb through the skin due to washing powders and softeners or with breathing by cleaning and polishing with chemicals. Cleaning chemicals we usually kept in the bathroom or in kitchen where we constantly inhale harmful fumes. Chemical pollution is now a major factor for various health scourges of humanity of which the most known are allergies, which are in sharp rise. Sodium bicarbonate and other natural cleaning agents allow us to compensate all harmful chemicals and do all the hygienic means and cleaning very easy and effective. This does also a huge contribution to a cleaner environment and prevents drainage of large quantities of chemicals in nature. Finally, we can do some savings, since the components for natural cleaners are cheaper. 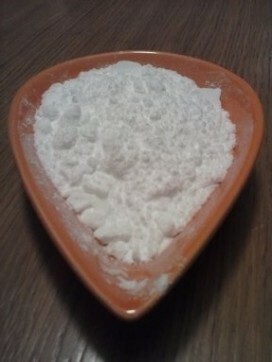 Two tablespoon of baking soda (or washing soda, if you want to achieve better washing effect). Sprinkle equal to the dishes and the dishwasher bottom, vinegar (acetic acid / alcohol / vinegar - at least 8% acetic acid) load into the container for the detergent to the dishwasher door as well as the container for the liquid rinse aid. Start the dishwasher on the first program for dirty dishes, that it will work separately: baking soda from vinegar. Do not mix the vinegar and baking soda, because the washing effect is then void. The baking soda has a pH of 8.2, washing soda has pH 11 and is therefore much more basic. Baking soda not only cleans, but also effectively scoured the dishes and the vinegar acts as a disinfectant. Both baking soda and vinegar dissolves calcium carbonate and bring glasses to shine. After rinsing the dishes are clean and odorless. Baking soda and vinegar are edible and are used in the diet. Baking soda is even used for medicinal purposes as well as for body detoxification. You can easily make organic liquid soap by 50g Marseille soap in 2 liters of hot water, dissolve grated Marseille soap and pour into a plastic bottle. Leave some free space so that you can shake the contents later. Add a tablespoon of baking soda to it and shake it all together. If the liquid soap hardens over time, add a little hot water to it and shake the contents again. Soda removes dirt and acts antiparasitic. Fruits and vegetables can be washed before eating in the water, in which we have previously mixed baking soda (one tablespoon per liter of water). All recipes for natural cleaning products with baking soda and vinegar - enter. - Eco Cleaner for burnt container: Soak the container with water, to which was added a few tablespoons of baking soda and leave to soak for a few hours. Saved us a hard scrub. Another option: burnt food in pan will be folded if you boil one liter of water with 2 tablespoons of baking soda (bicarbonate of soda) in the pan for 5 minutes. - Sodium bicarbonate can serve for eco baths cleaning, sinks, washbasins and similar purposes. .
- Sodium bicarbonate as an eco-cleaner to remove stains and eco laundry bleach with baking soda. - Baking soda and vinegar mildew. - Baking soda and vinegar for eco cleaning. - Adding baking soda in washing machine to soften clothes. - Sodium bicarbonate and unblocking drains. -Bicarbonate of soda for body alkalization. -Baking soda for acne, fungi and herpes. -Detoxification of fruits and vegetables. -Instead with chemicals remove odors with baking soda. -Other interesting uses for baking soda. -IS BAKING SODA A BASE? -IS BAKING SODA A SALT? -WHAT IS THE FORMULA FOR SODIUM BICARBONATE? 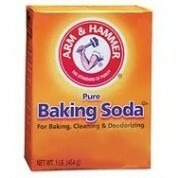 -HOW TO GET HOME MADE WASHING SODA OUT OF BAKING SODA? -IS SODIUM BICARBONATE BAKING SODA?